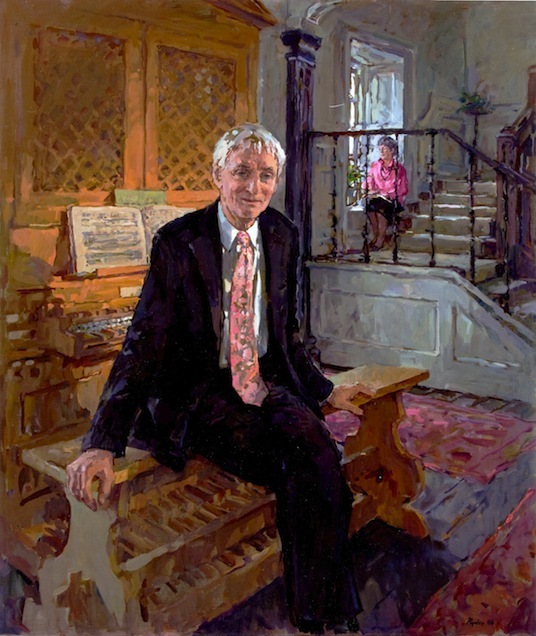 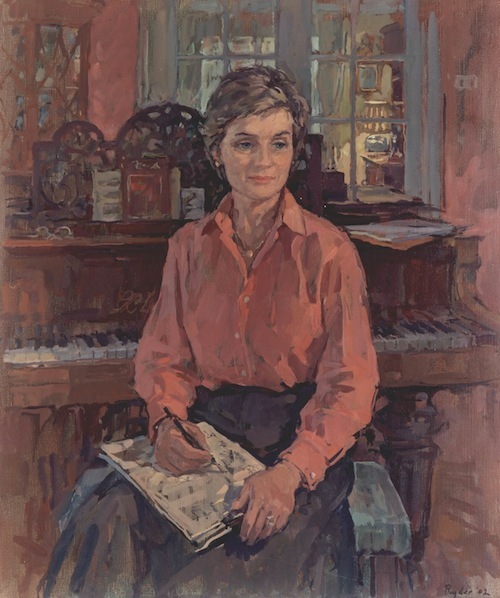 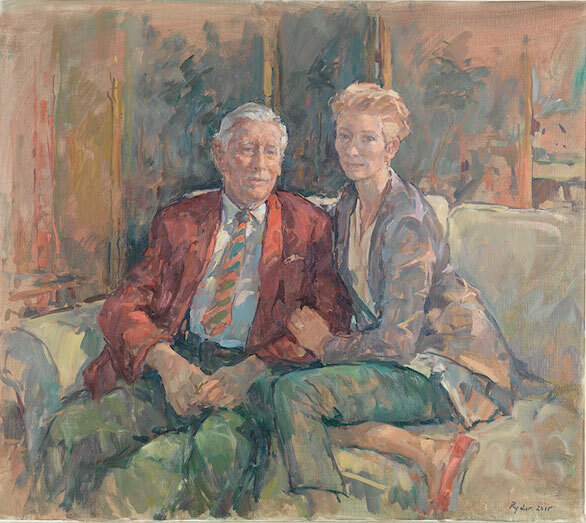 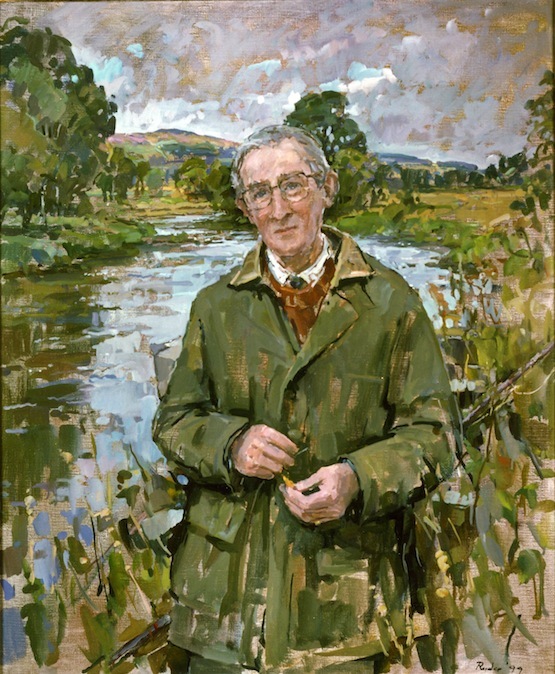 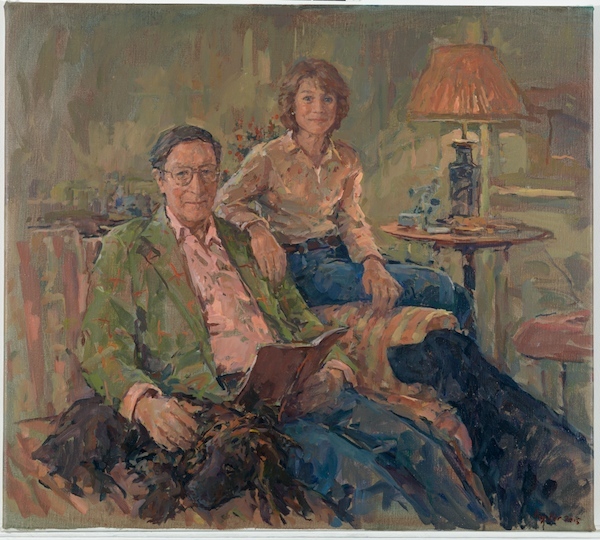 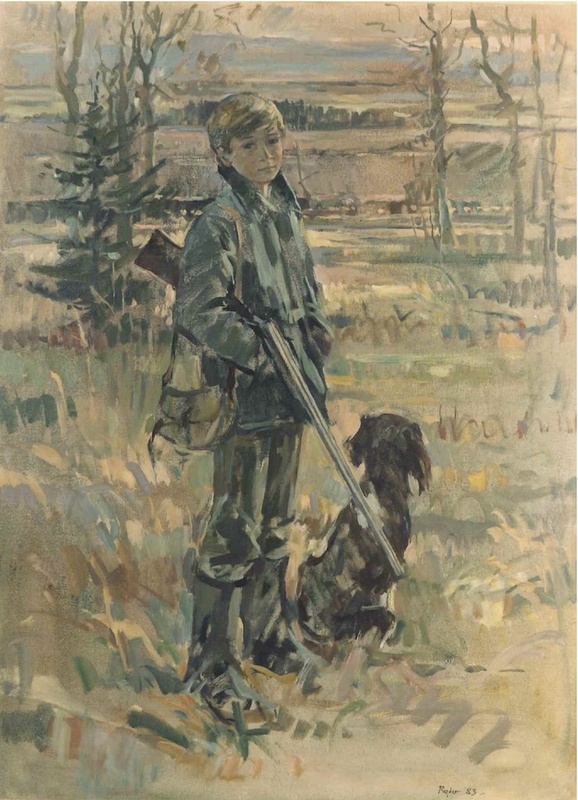 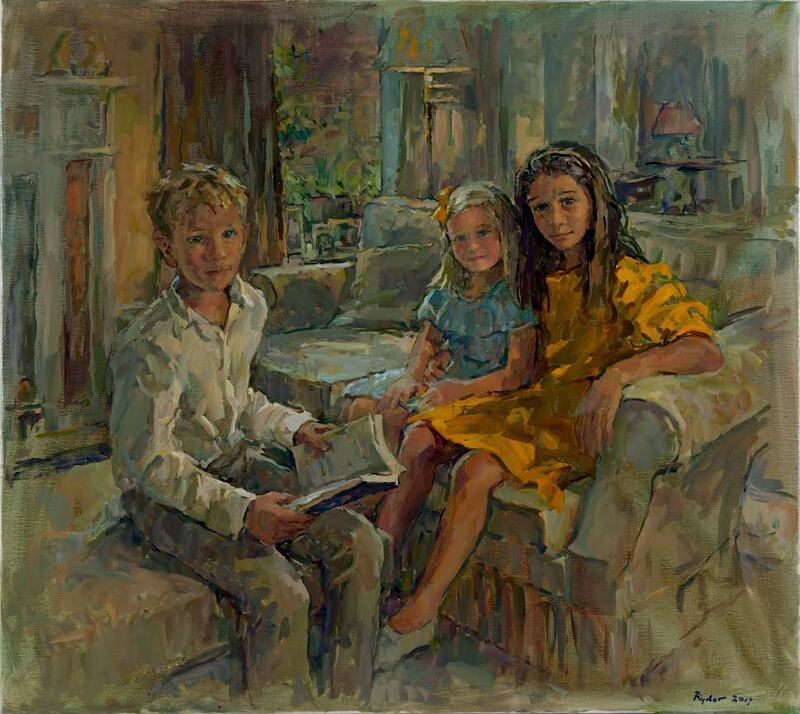 My father was an amateur painter, so I borrowed his oil paints from the age of 13, he was my greatest influence with his love of the Impressionists and then I discovered Vermeer and Vuillard through my art school-teacher Bernard Dunstan RA. 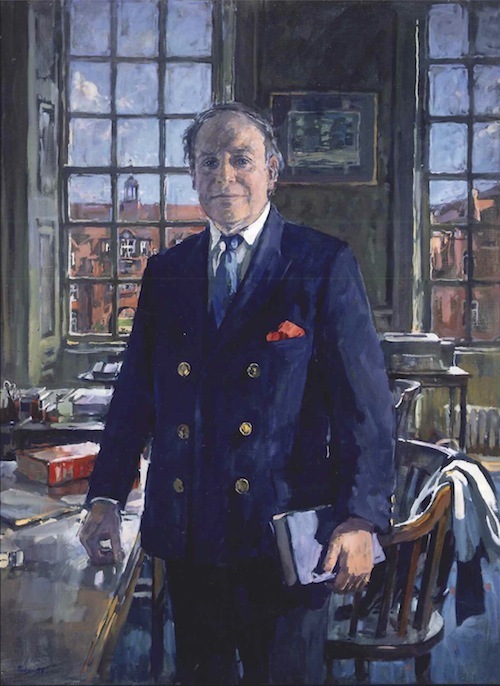 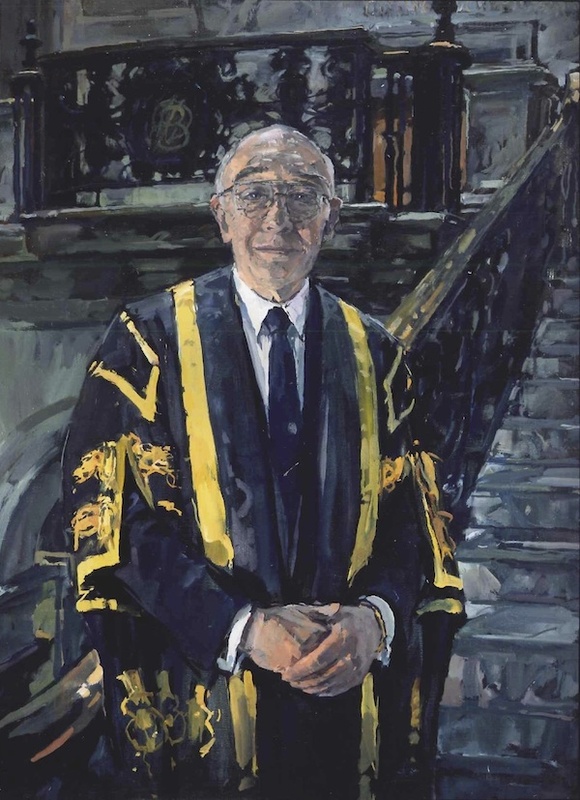 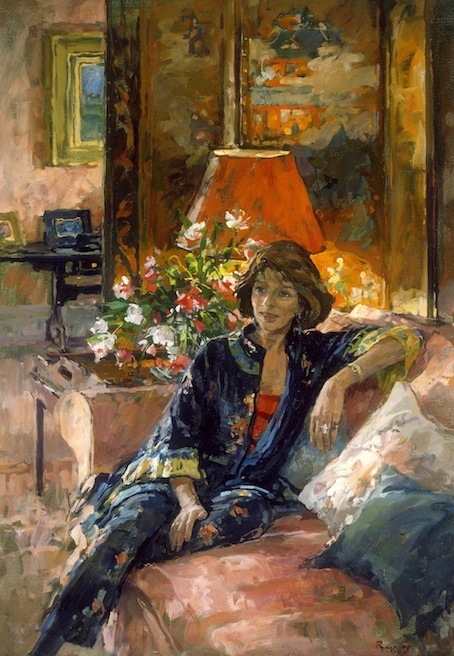 I studied at the Byam Shaw School of Painting in London from 1960 – 64 and was elected a member of the New English Art Club and the Royal Society of Portrait Painters. 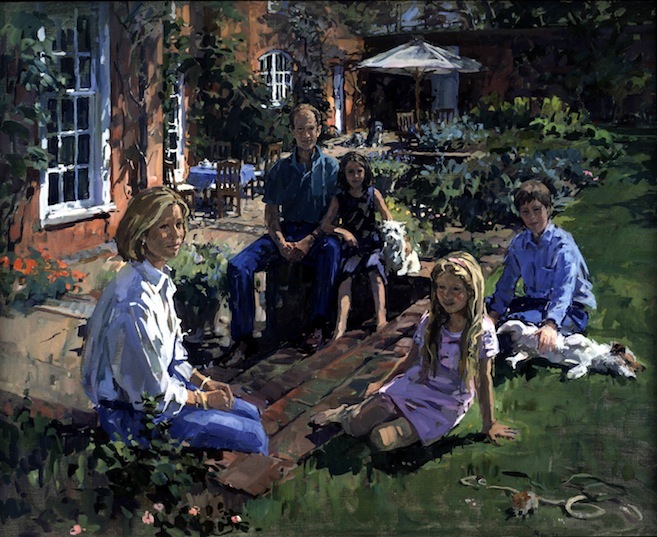 I was Vice President of The RP from 2002 to 2008. 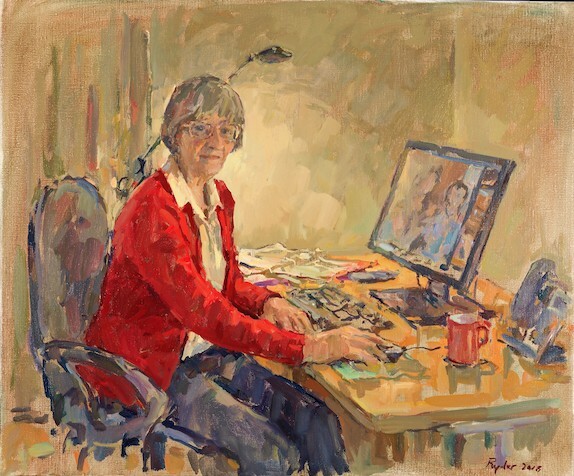 Portrait painting is thrilling and totally absorbing but I do find listening and chatting an important part of the process. 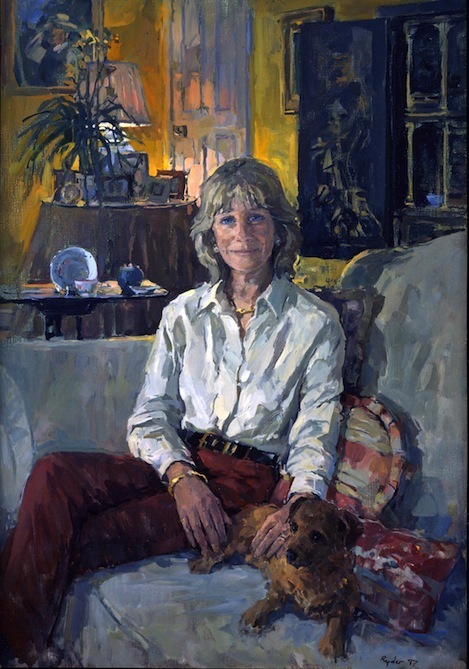 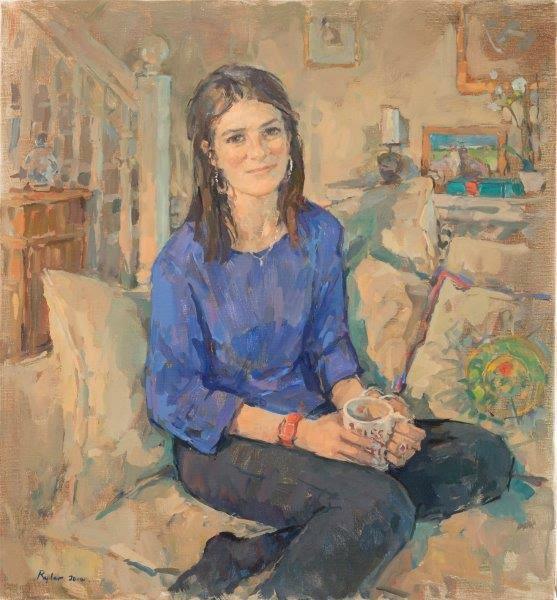 I particularly like painting my sitters in a setting, be it a lamplit interior, outside with a dog or whatever captures them. 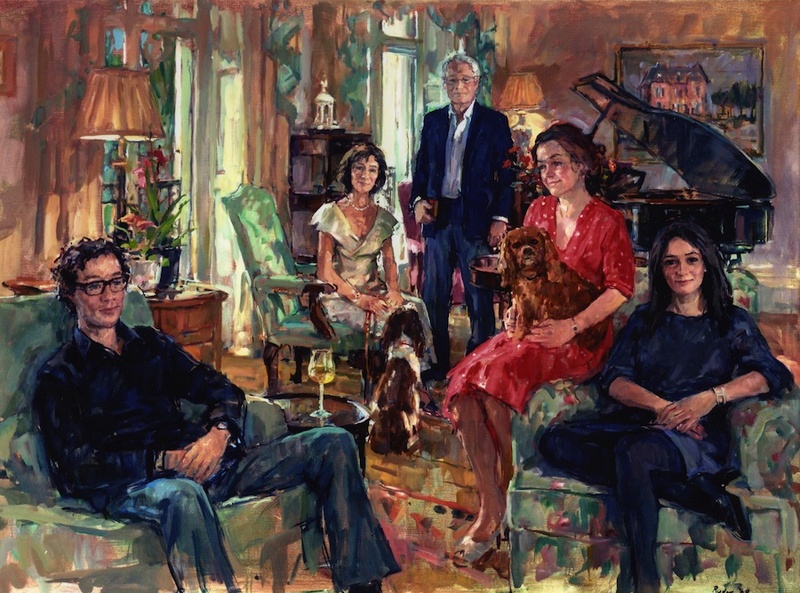 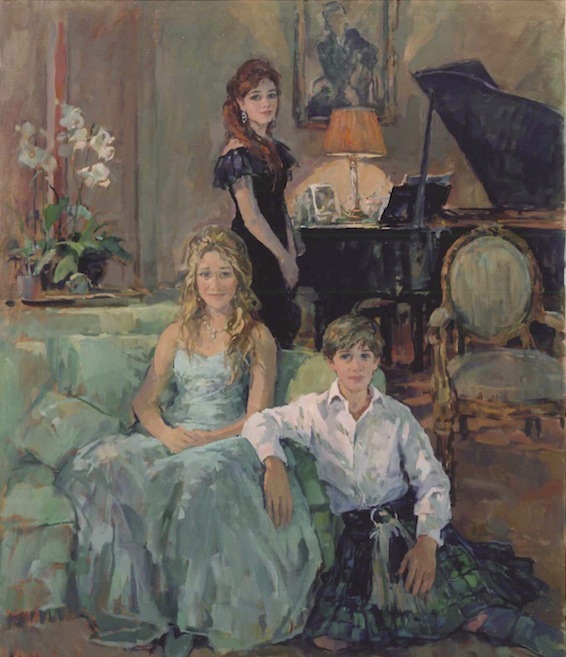 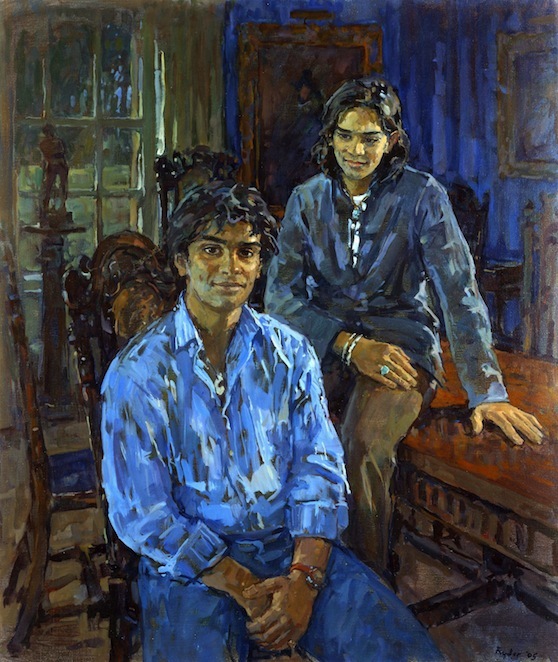 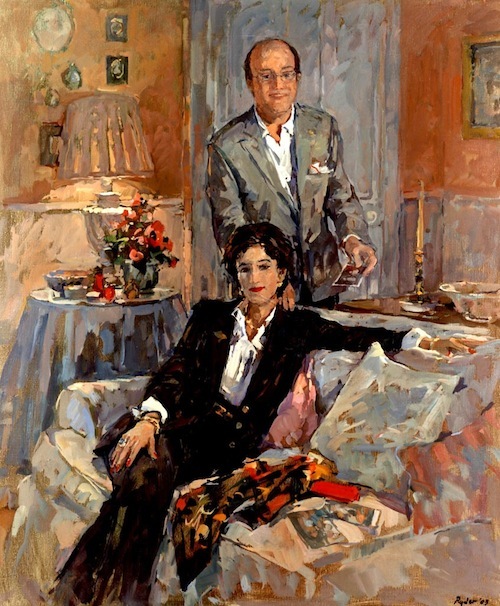 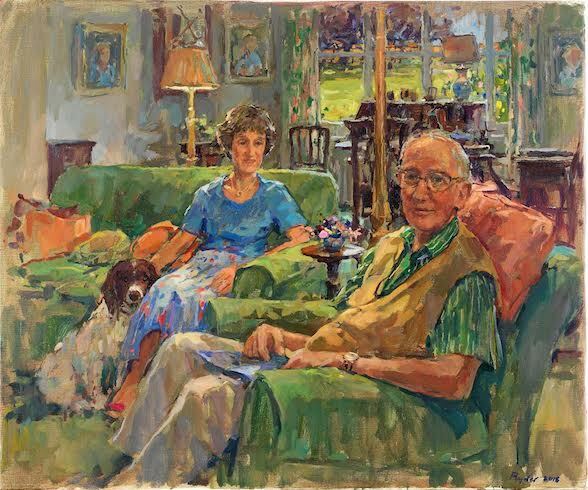 I love painting portraits but it was as a landscape painter that I received my first award and my one man shows often feature paintings of interiors. 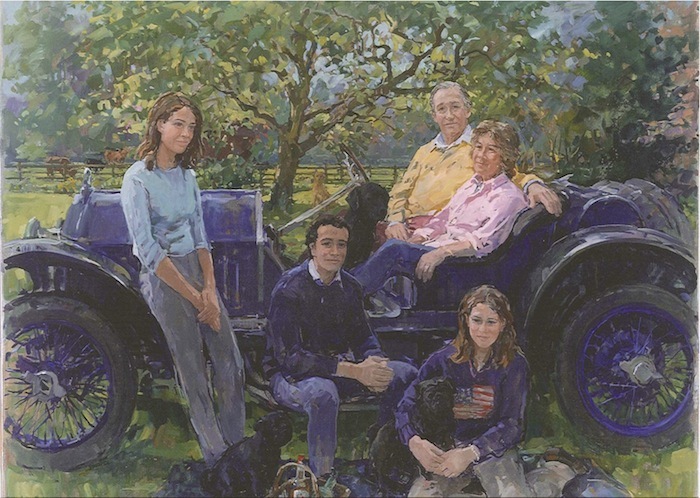 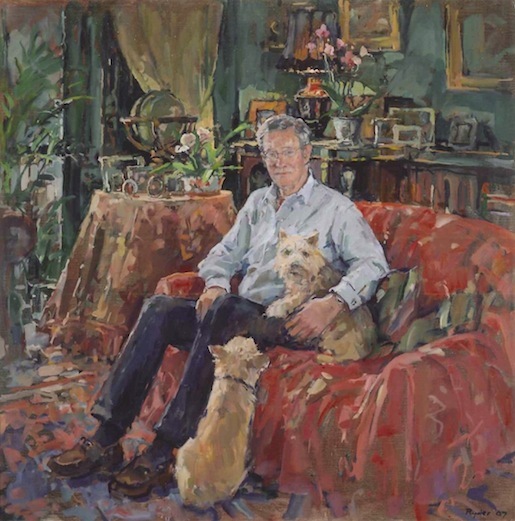 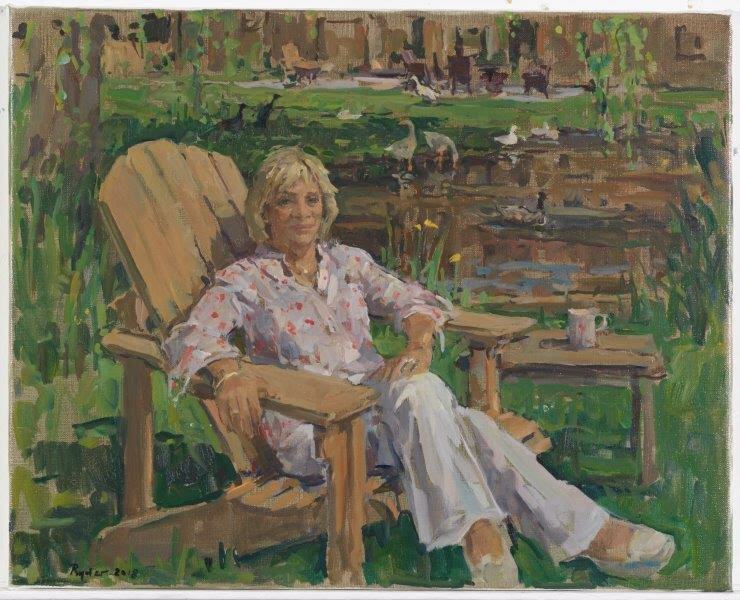 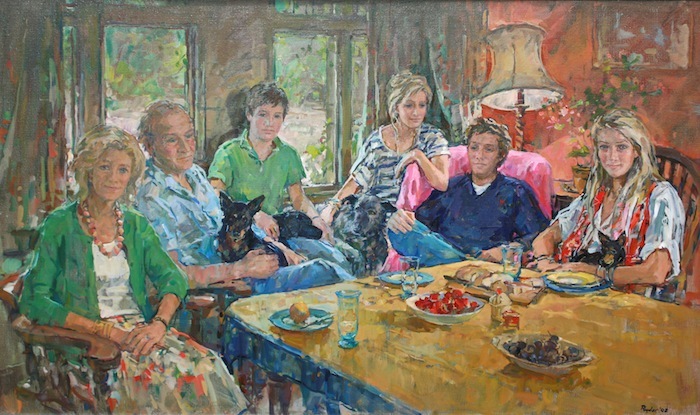 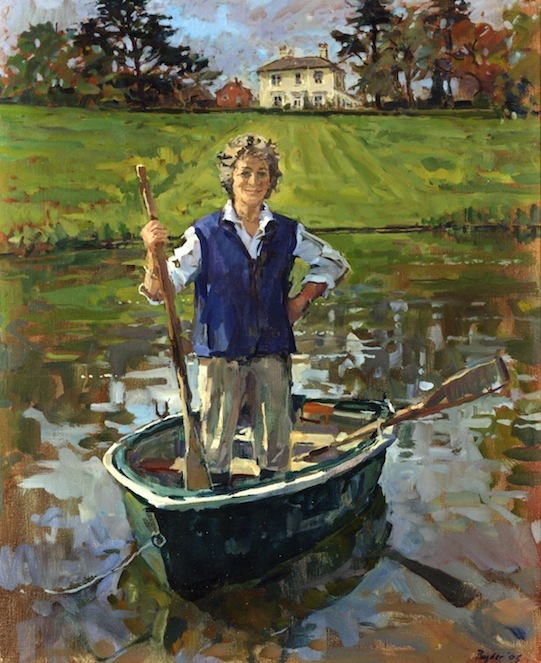 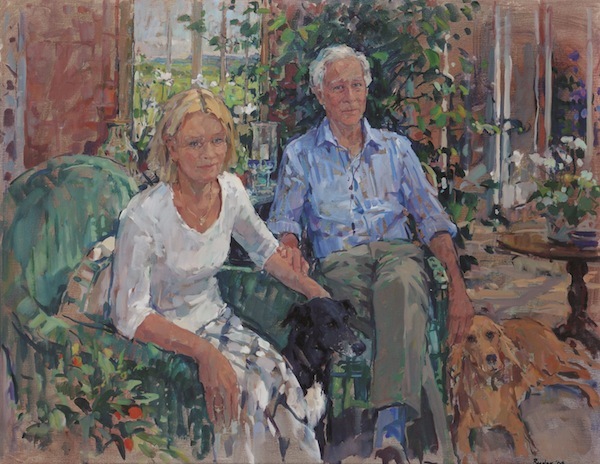 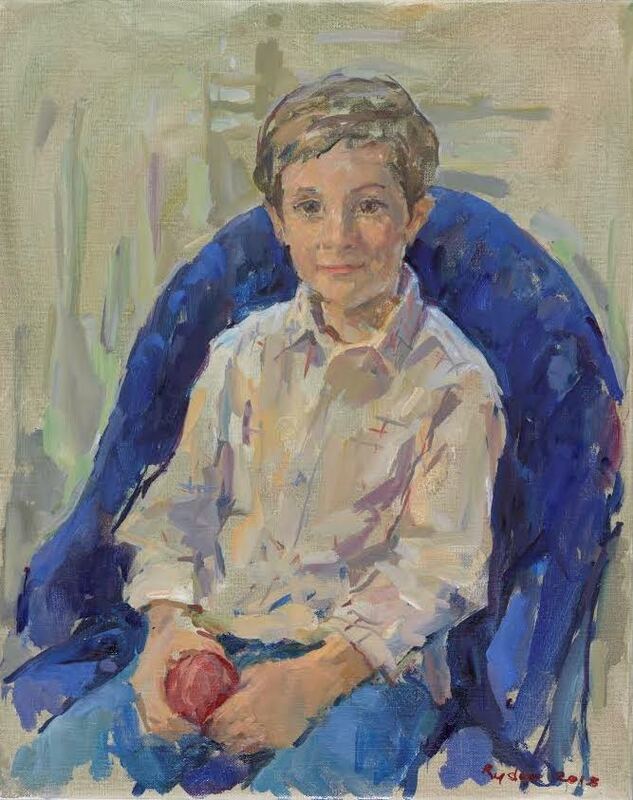 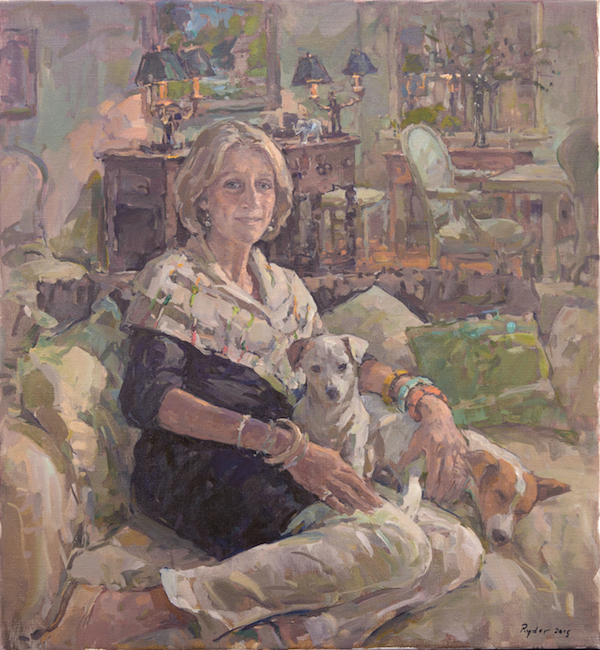 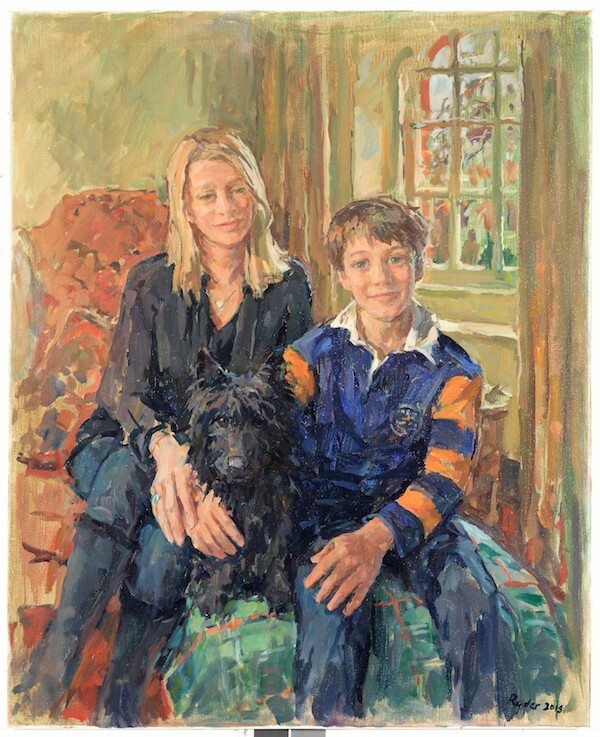 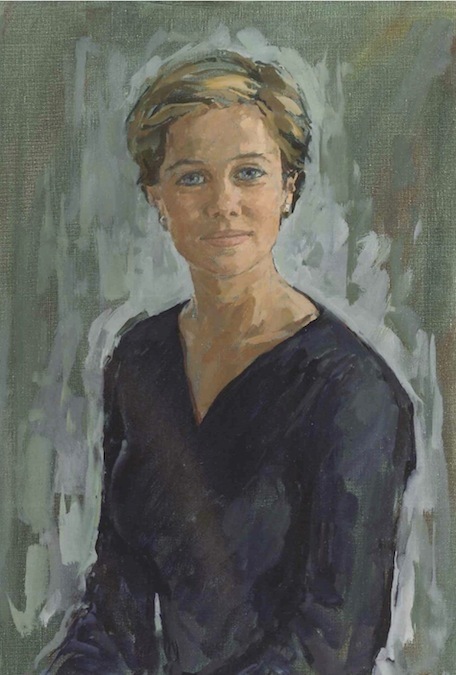 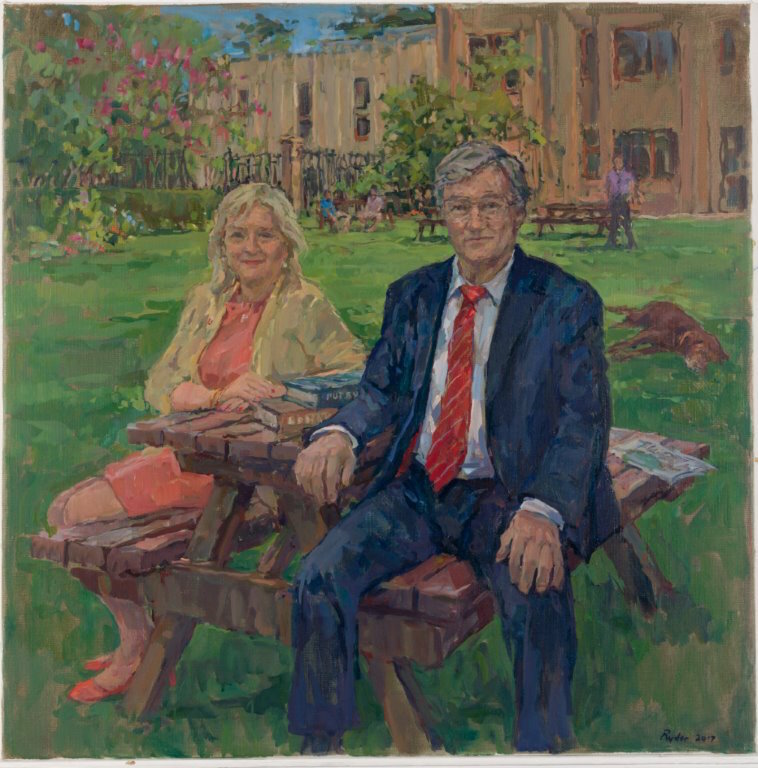 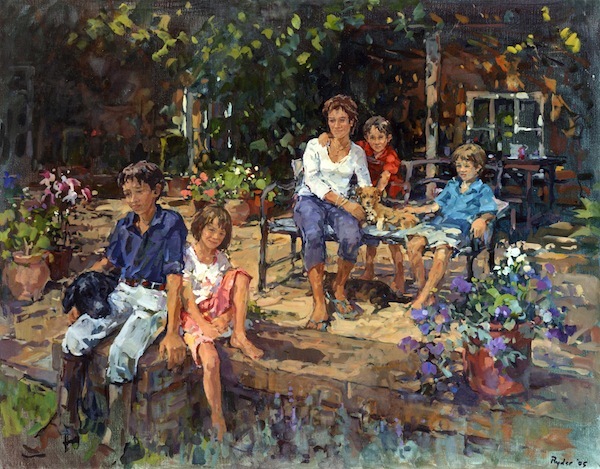 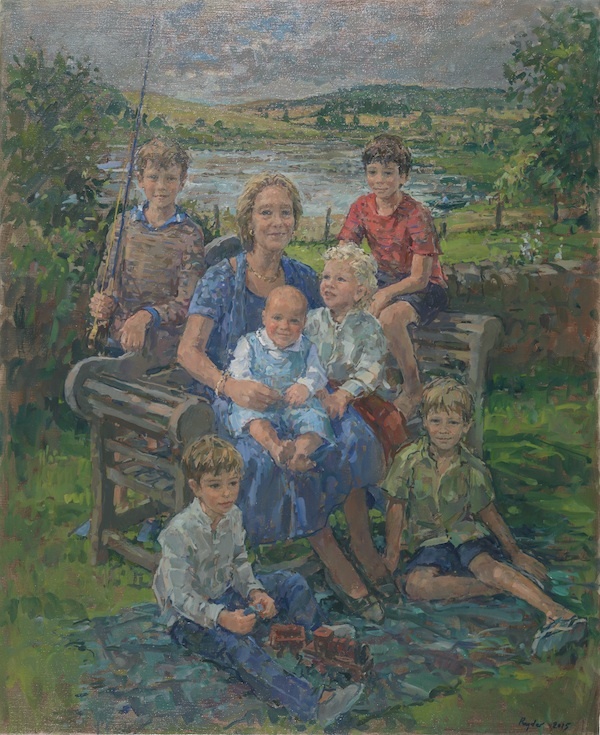 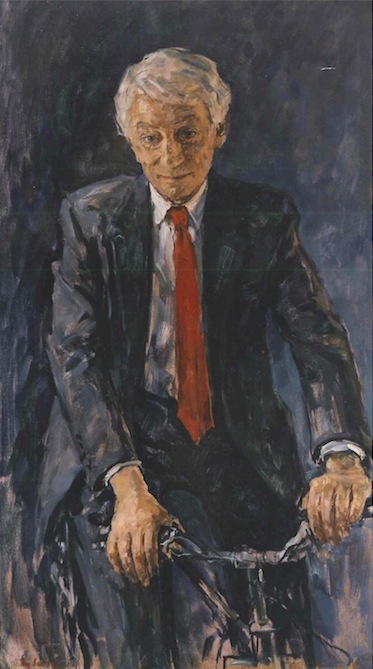 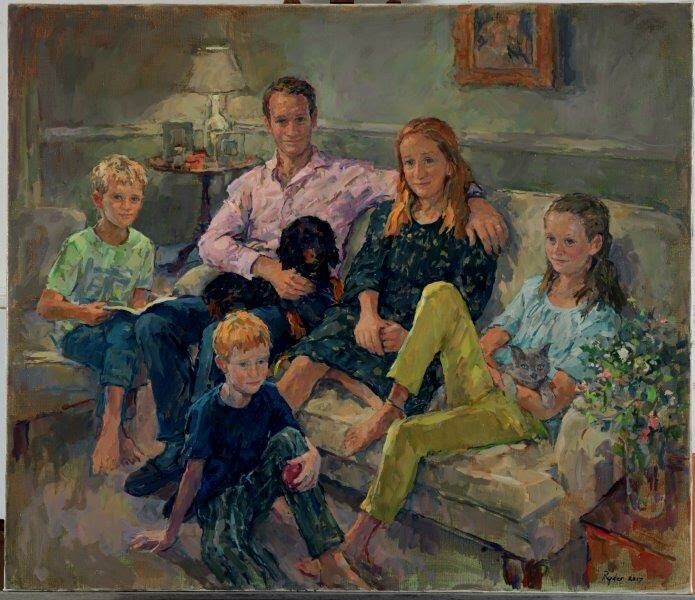 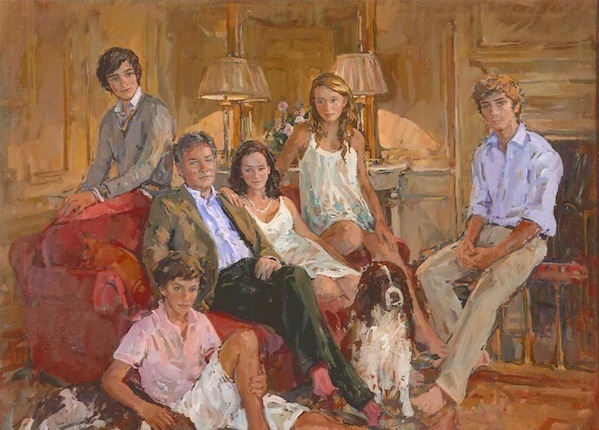 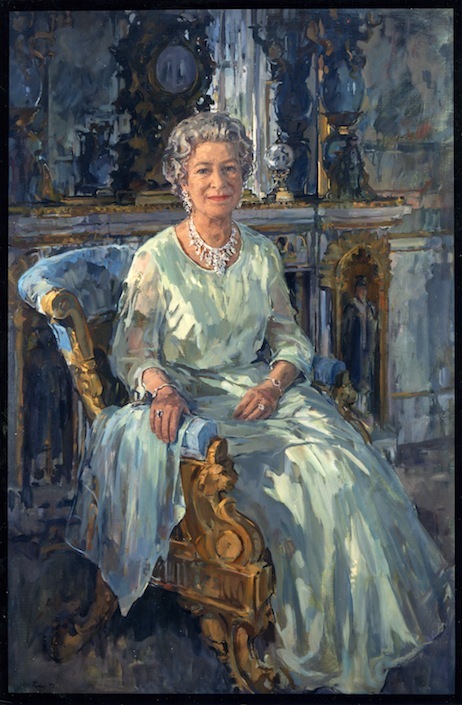 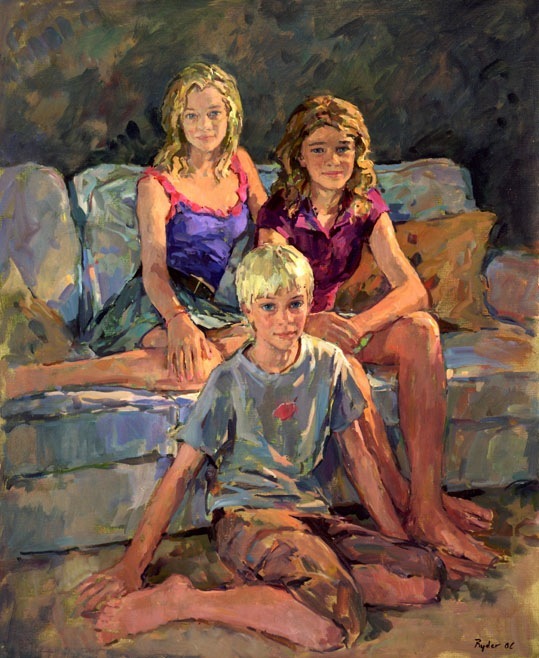 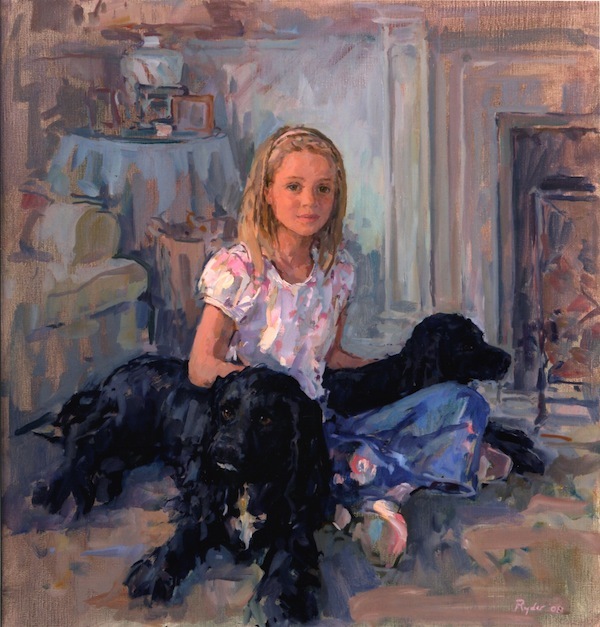 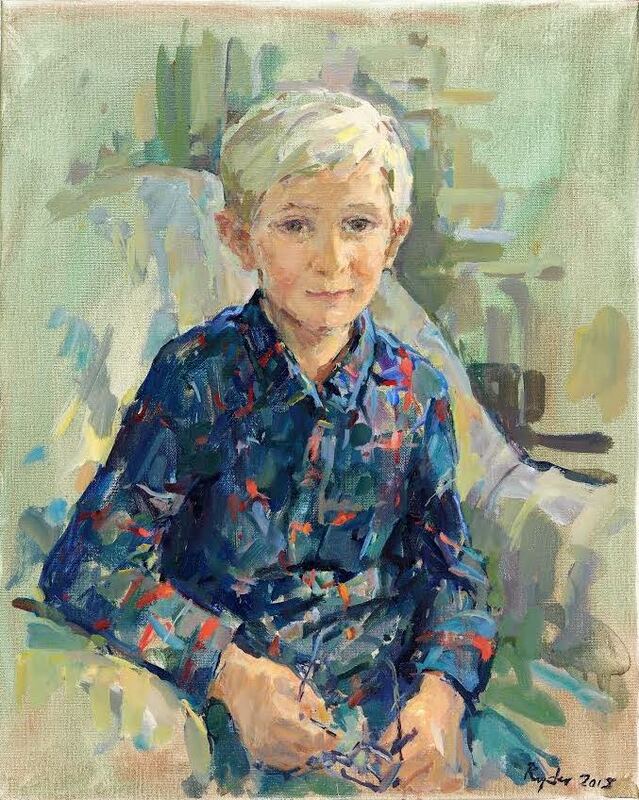 Three sittings of three hours is plenty for the average sitter and I only need a couple of sittings with lots of breaks for the head of a child and am very happy to travel to my sitters – especially as I often like to paint them in their settings. 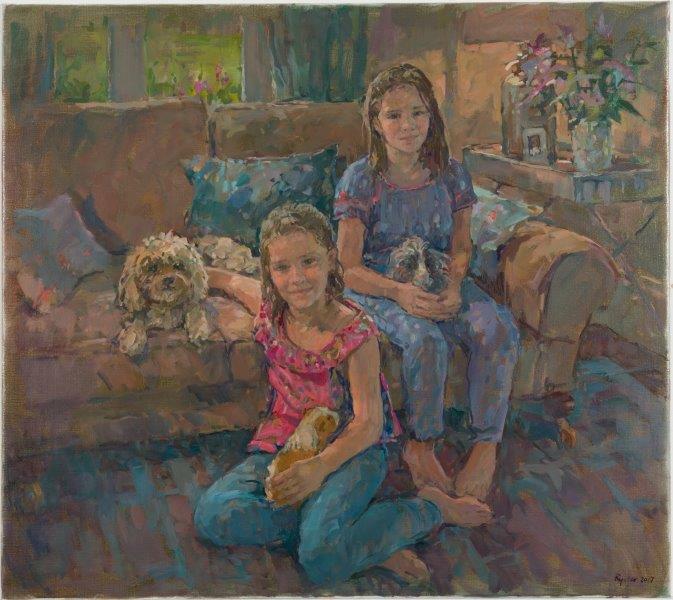 I enjoy painting groups and love dogs so am happy to include one dog for free. 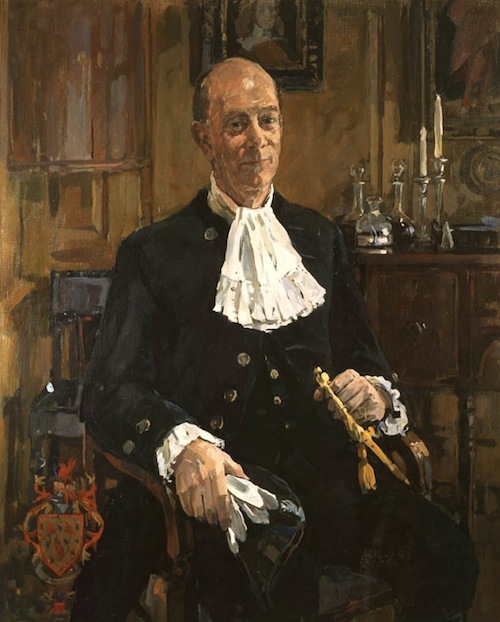 I am not currently registered for VAT.